When lighting up the inside of world class designed 60 000 seater stadium. Look no further than Robe Professional Lighting. 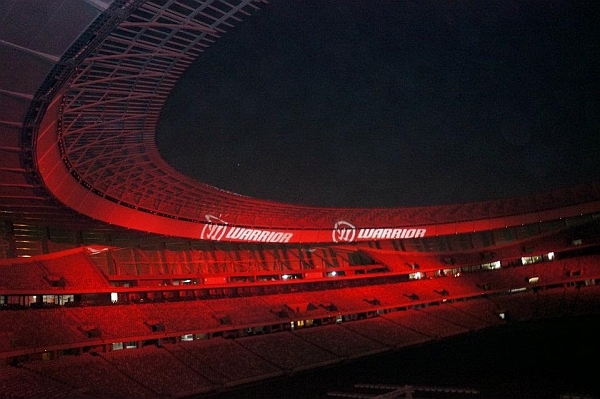 During our recent setup at the Warrior Football launch, Robe 700 Wash lights and 700 Spots were used to completely illuminate the side of the stadium in red, with gobo’s displaying the client’s branding. Robe Lighting is supplied in South Africa by DWR Distribution. 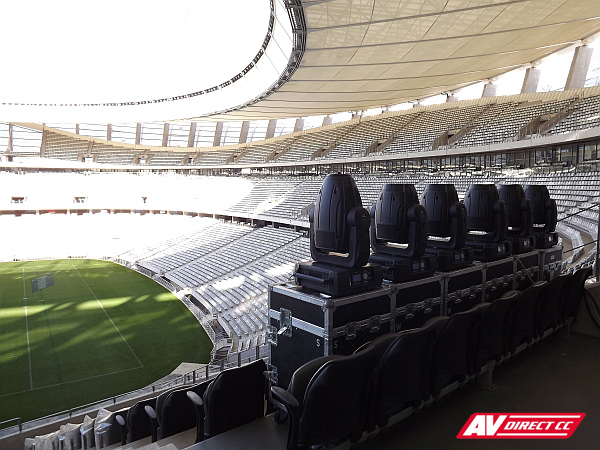 AV Direct brings the very best in LED lighting technology to meet your requirements.